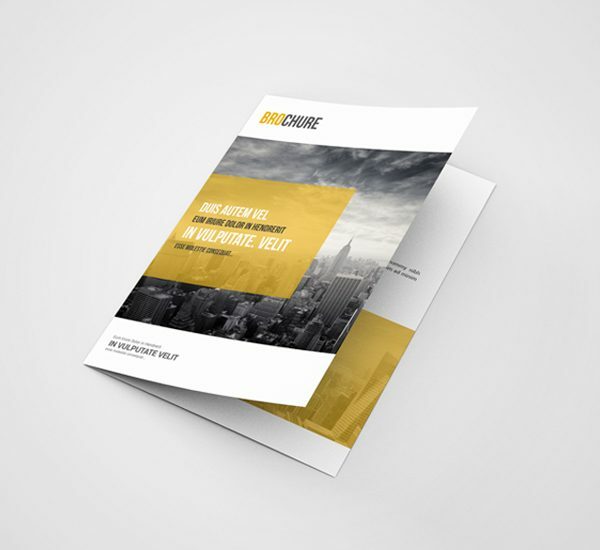 If you need more than a couple of sides of paper to talk about part of your business but don’t want to print a catalogue, our leaflets are the ideal halfway-house solution, being concise yet thorough. 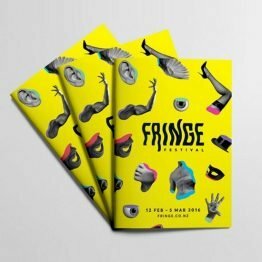 Our folded flyers and leaflets can be used to promote such things as events, special offers, a new shop opening – whatever you need to publicise. 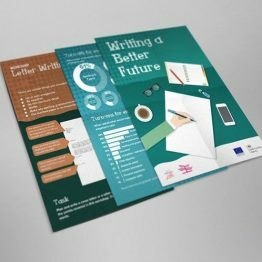 A well-made quality printed leaflet is much more likely to be kept and taken seriously by prospective customers, thus putting you at the forefront of your business. Available in three stock options you’re sure to find the best look for you business or event. Pick from the classic Roll fold; six-paneled Z-fold; and booklet style Half-fold, all of which measure up at 210 x 148 mm when flat. Spread the word and make your own headlines by slipping one seamlessly into a magazine or newspaper. 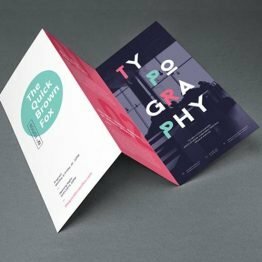 Printed both sides, full colour onto quality paper or card available in three different stock options: The Silk option have a smooth finish with a light sheen keeping colour vibrant. The Uncoated option have a textured feel that allows for some colour saturation. If you’re looking for an uncoated stock with eco credentials our 100% recycled paper and card will do the trick. 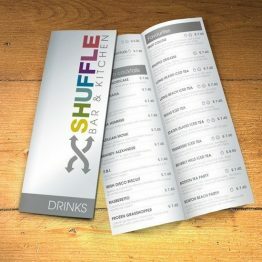 Add a gloss or matt laminate for extra luxury and durability, this is ideal for food menus. Roll fold (C-fold) – Divide the paper width by 3 (6 sides). The most right side is folded between the two sides to the left. Z fold (Accordian fold) – Divide the paper width by 3 (6 sides) like the shape of the letter Z. Turnaround times: The turnaround for folded leaflets is 3-4 days including delivery. If you would like something faster please get in touch, we’re here to help!